Have you ever played with a counter puncher? What are your records against such a player? Beating a counter puncher is probably one of the more challenging aims that you can pursue in the game of tennis, but with the right strategy, mentality and approach, it can eventually become a reality. The game of this type of player is basically to return each and every ball and force you to make a lot of mistakes. Some characteristics of this type of tennis player are consistency in his shots, relatively few mistakes of his own and frustrating the possibility of his opponents to successfully hit winners. 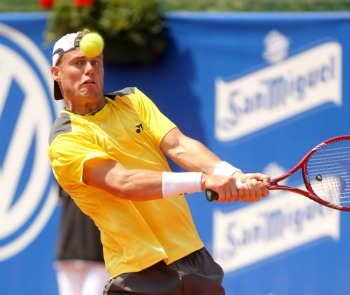 In my opinion, some examples of pros who are solid counter punchers are Leyton Hewitt and Nicolay Davydenko. Counter puncher’s main theme in his style of play is to rarely hit the ball hard, but to make certain that he gets everything back. He is extremely fit, is mentally tough and is totally aware of his opponent. He moves well and has good ground strokes, returns of serve, passing shots and topspin lobs. His main virtues are patience and persistence. This sort of playing style can have the effect of driving you crazy because it will increase the number of times that you may well make mistakes. So how to beat these guys? 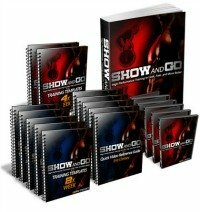 Below are some strategies you can try to beat them. First of all, be proactive and try to attack the net more often. Vary the placement of your volleys, too. Hit some to the open court, some behind him and some down the middle. By keeping him off balance, you will take away some of his effectiveness with the passing shots and the topspin lob. Be sure to rally patiently with him first and wait for your chance to attack the net. 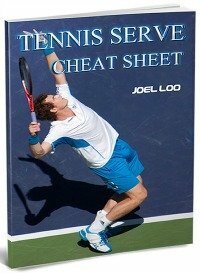 Since tennis is mainly about time, you cut by 50 percent the time in between the hit of the counter puncher and yours and also the time he will have to respond to your shot, if you are at the net. To create chances for yourself to attack the net, you need to get him to cough up a short ball. While this is not going to be easy, you should try, nonetheless. One strategy that could work well is to make the tennis ball bounce above the shoulders on his backhand side. It is a known fact that the majority of players will fail to hit deep off of these types of shots, and your opponent may be one of them! Patience is a virtue, at least, so you have heard. If you exercise patience while playing with such a player, you will eventually realize that he will not be able to really harm you with his shots. As such, you should simply wait until he hits the right ball to you before you go for a winner or try an approach shot. Another strategy you can use is to pull him to the net by way of an effective, low, short ball or even a drop shot. If he is not comfortable at the net, you will seize a simple opportunity to finally pass him. Of all the tennis strategies you could devise against the irritating nemesis, the one above is the best because it plays to your strengths while exploiting the weakness of your opponent. It is very important that you do not permit yourself to get lulled into a false sense of security when playing a counter puncher. Though this type of tennis player will not make aggressive shots with great frequency, you should always be aware and expecting that he may well try an aggressive shot, just to mix things up. When you play a counter puncher, realize that this is going to be an exhaustive, mental process more than anything else, so you should be ready for it, mentally. 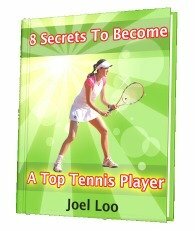 From "Tennis Counter Puncher: Simple and Effective Strategies To Beat Your Nemesis" To "How To Play Tennis Efficiently And Become A Better Player"